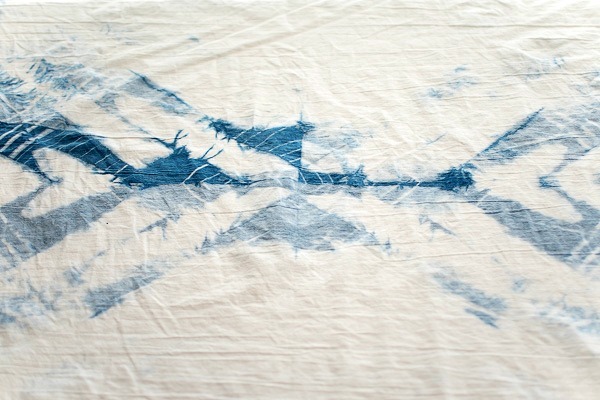 Shibori is a Japanese technique for wrapping and dyeing items with indigo dye. See those blue jeans you're wearing? They get their blue color from indigo dye! 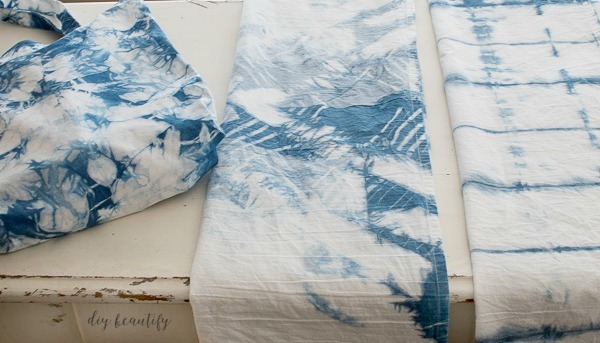 Cool...so how does Shibori work? 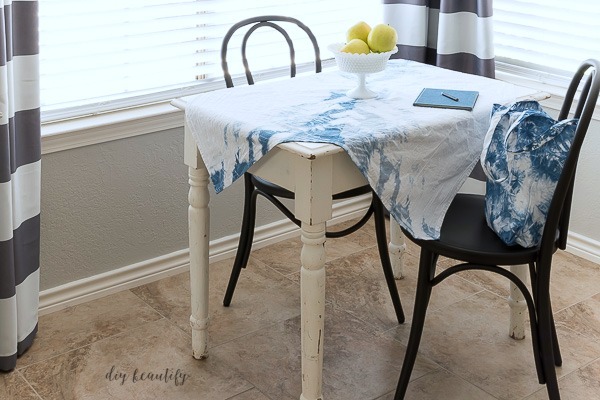 I've teemed up with a fun group of bloggers to show you just how easy it is to make your own Shibori-dyed items for your home! 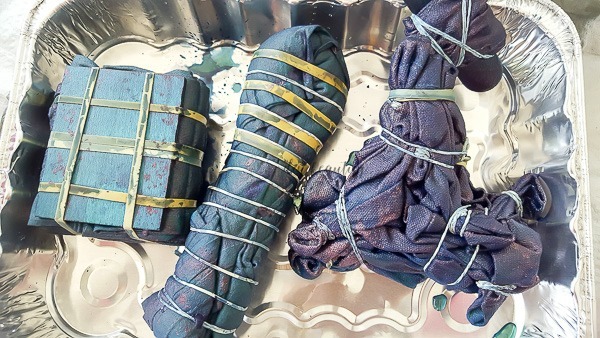 Fabrics dyed in this way are each unique, and make wonderful gifts and home decor items. You can dye just about anything. 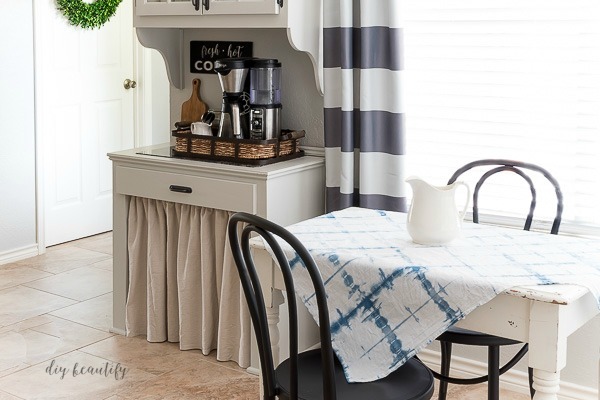 Think t-shirts, pillow covers, curtains, tablecloths, towels...any natural material (ie: cotton) will be perfect for your Shibori project! This post may contain affiliate links for your convenience. View my full advertising disclosure here. 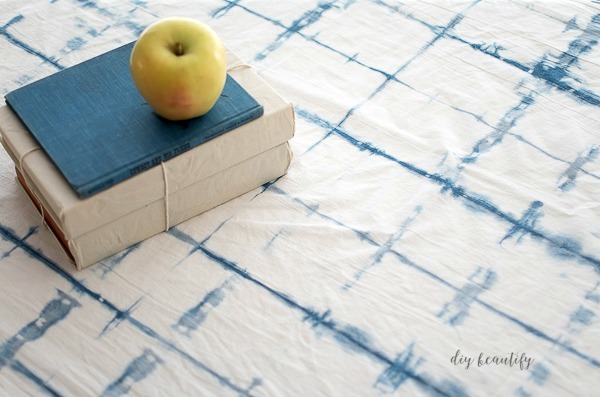 The easiest way to create patterns with indigo (or "Shibori") is to use a dye kit. 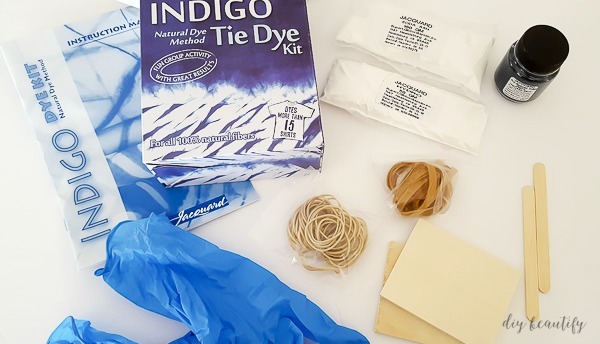 I used this kit which comes with everything you'll need to dye up to 15 shirts...and it's currently on sale! 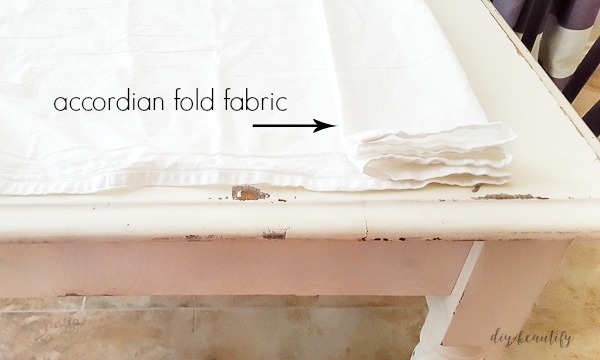 I'm going to share the three different techniques that I used to dye tablecloths and a tote bag...but of course feel free to be creative! I'll try my best to walk you through how I got each look but remember, no two items, even those made the same way, will be exactly the same! Each is unique! 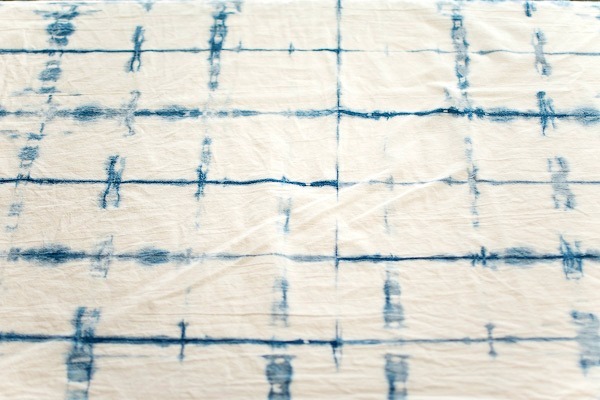 And that's really the beauty of Shibori! 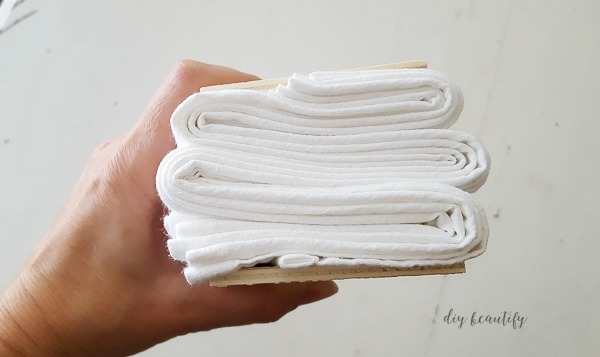 By simply folding and wrapping the fabric in different ways, I was able to achieve three very different looks...each one beautiful. If you're totally confused, don't worry! There is an instruction booklet included with the dye kit that explains how to achieve different looks with your Shibori. You can also do a Google search to find tons of ideas! The tote bag was handled differently. 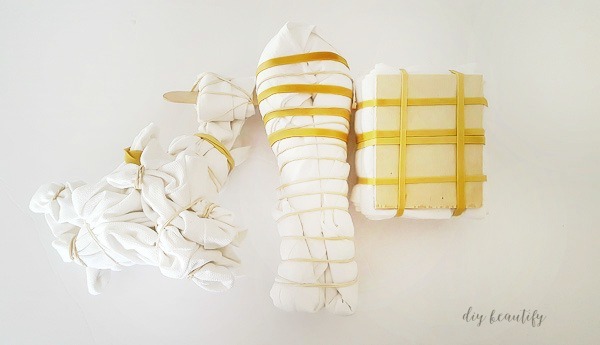 Rather than folding the fabric, I wrapped sections with rubber bands. 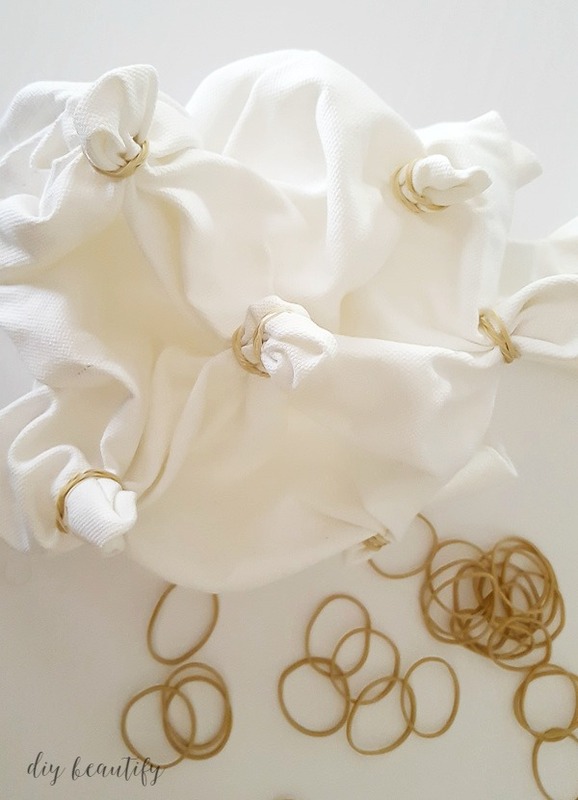 I grabbed small pieces of fabric and wrapped a rubber band around each one. Once I'd done this to both the back and front, I grabbed several rubber-banded sections at a time and tied them together. 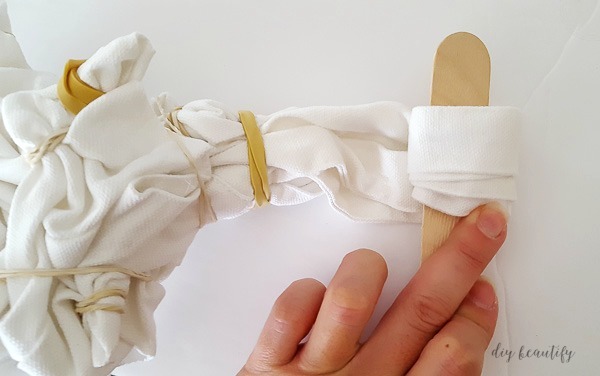 Then I folded the handles around a wooden tongue depressor. It looked very strange and weird, but I love the results! Here are all three pieces...folded, tied and ready to go in their dye bath! I apologize for not having any process pictures, but this stuff was messy! I dipped each piece into the dye bath for just a minute or so. Don't be surprised when you take it out and it's bright yellow or lime-y green! You will literally see it oxidize before your eyes and turn blue. Then you just cut off all the rubber bands, unfold and wash! It's a really fun project. I had to stop myself from dyeing all the things! Feel free to Pin This Image for future reference. 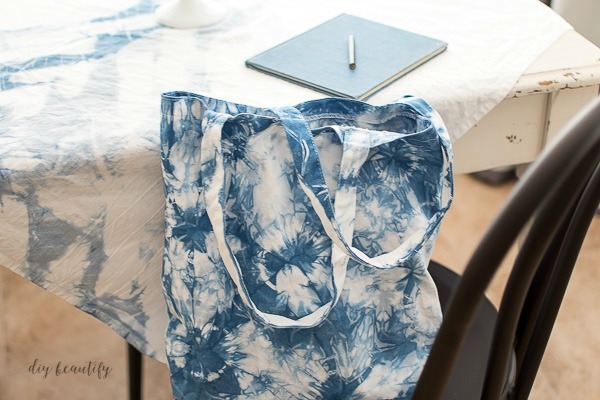 These Shibori tablecloths and tote bag would make great gifts! While you're at it, be creative. What would you dye? 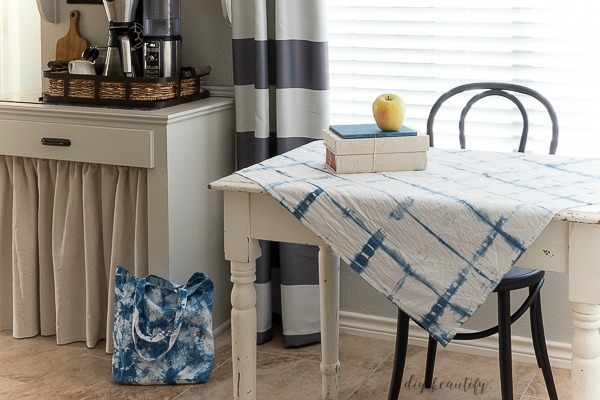 And now I hope you'll stop by the following sites to see some more fabulous Shibori projects! 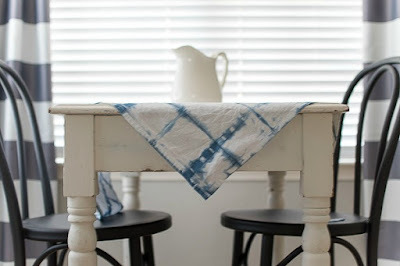 DIY Shibori Table Runner - Lovely Etc. Don't miss these Popular Posts! Thank you Lisa. The links should all be working now! Such cute makeovers! I need one of those tote bags for myself. Looks like I have another project to complete! Thanks for the inspo! 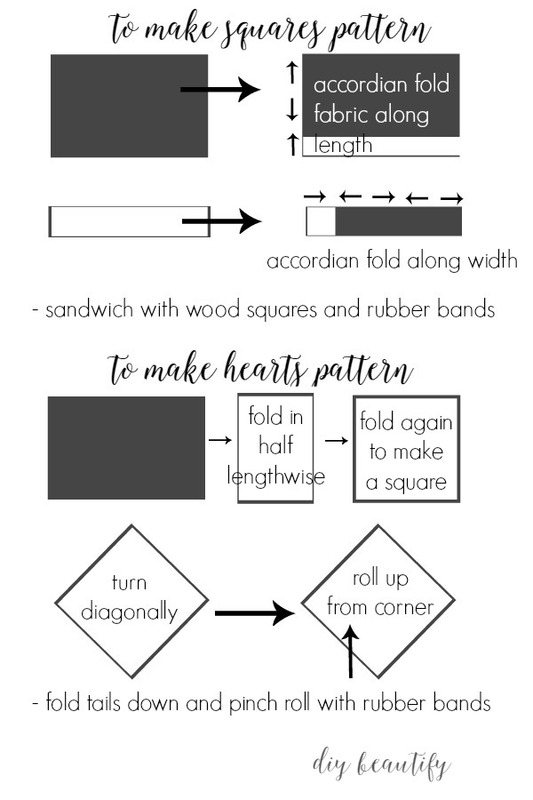 Thank you Iris, it's fun to see what patterns you can create! Beautiful! And these are just the right size for your little table! Yes they worked perfectly for this table, thanks! I love them all! Awesome tutorial! The hearts pattern is amazing! 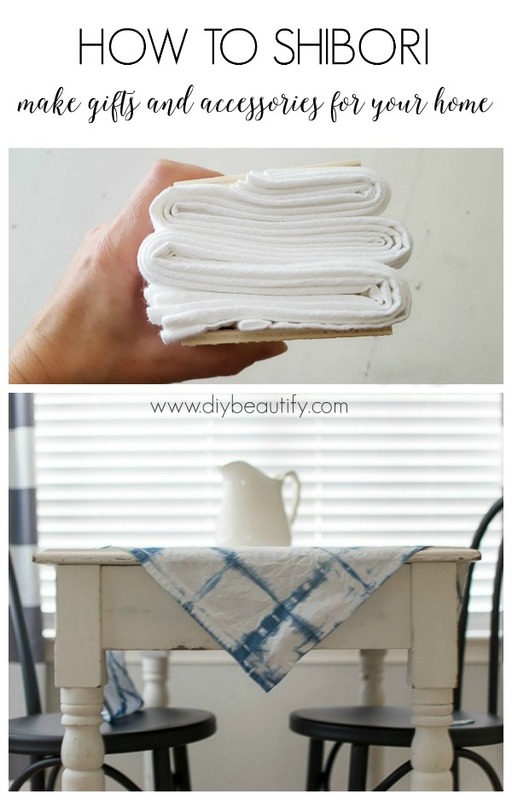 I need to try that next time I shibori! Thanks so much Susie, it's such a fun project!